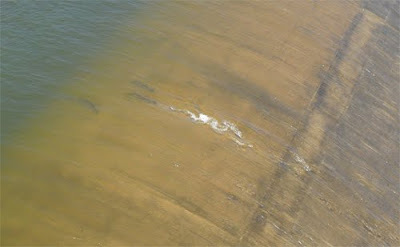 FishMax - THE Australian Online Fishing Magazine: Thousands of Barra lost over Spillway! After the torrential rain and flooding recently, Awonga Dam near Gladstone has lost thousands of Barra over it's Spillway. 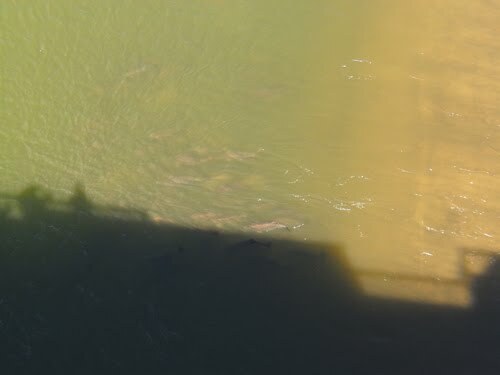 These recent pics, sent to me from a good fishing buddy in Gladstone, shows big impoundment barra congregating at the spillway. Though trying hard to swim against the current, when they get to close to the dam spillway, these magnificant fish get sucked over, falling into the Boyne river forty metres below. Now this might not be all bad if they survive but reports are that they haven’t, with thousands of these great sporting fish found dead along the river bank. 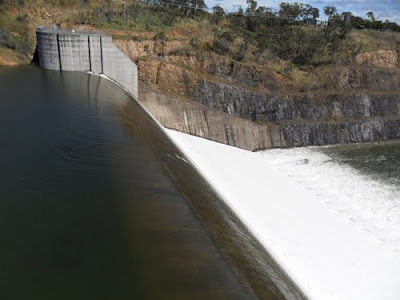 These photos were taken when the water level was approximately 900mm over the spill way, a week later the water level over the spillway had reached 4 meters. I’ve been one of the lucky fishos that have caught and released these magnificant Awonga barra. On many trips, I was surprised to see a lot of fishermen keeping the fish they had caught. Now there’s nothing wrong with taking a feed home but what many people don’t realize is that these fish are fresh water impoundment barra. They do not reproduce in the dam as they need saltwater for that. So every barra in that dam has been put there as a fingerling. 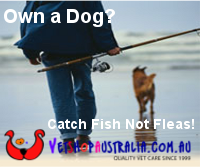 They have lived all of their life in the fresh water and they are not considered a good table fish. Mother Nature has done a fair bit of damage to the stocks this year, so let’s hope more folk in the future practice 'Catch and Release' so we all get a chance of getting that great photo of the metre plus barra!